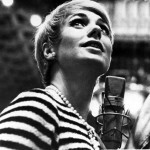 Though it was in her role as the mother of television’s The Partridge Family that she achieved her highest popularity in the early 1970s, Shirley Jones (b. 31 March 1934, Charleroi, Pennsylvania) has been active on stage and screen (both large and small) since she made her Broadway debut in 1953 as a replacement for one of the female Ensigns in the original run of Rodgers and Hammerstein’s South Pacific. 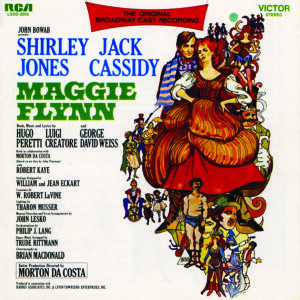 She returned to Broadway in 1968 to create the title role in the Peretti/Creatore/Weiss musical, Maggie Flynn, opposite her then-husband, Jack Cassidy, and appeared again on the Great White Way as recently as 2004 as the replacement for Dorothy Brock in the revival of 42nd Street. Jones became the quintessential American sweetheart through her work in the mid-1950s Hollywood film adaptations of Broadway’s most popular musicals. She was Laurey in the 1955 film of Rodgers and Hammerstein’s Oklahoma! and Julie Jordan in the 1956 movie of Carousel, singing with Gordon MacRae in both. In 1957, Shirley Jones played Liz Templeton opposite Pat Boone’s Nick Conover in April Love, and two years later, she co-starred with James Cagney in the film musical, Never Steal Anything Small. In 1960, playing opposite Burt Lancaster in Elmer Gantry, Shirley Jones won an Academy Award for Best Supporting Actress for her portrayal of the prostitute Lulu Bains. All told, Jones has appeared in more than forty films and countless hours of television. Jones’s film career began to dwindle as the ’60s drew to a close, and though she was warned that she would have to live with being compartmentalized in the role for the rest of her life, she was happy in 1970 to take on playing the mother of The Partridge Family on ABC Television. The show was a huge hit, lasted for four years, and made a teen idol of her actual stepson, David Cassidy, who played the eldest Partridge son. Shirley Jones has undertaken many projects since The Partridge Family went off the air. On television she has appeared in the series Shirley (1979), in the made-for-television movie There Were Times, Dear (1985), for which she earned an Emmy nomination, on Murder, She Wrote (1988, 1990) and Law & Order (2003), on The Drew Carey Show (1998–99), and in six episodes of The Days of Our Lives (2008). In July 2006 Jones received a second Emmy Award nomination and a Screen Actors Guild Award nomination for her supporting performance in the television film Hidden Places. On the musical stage she has won praise for her star turn at the Long Beach Civic Light Opera in 1983 in Noel Coward’s operetta Bitter Sweet; she returned to Broadway in 2004 with her son Patrick in a revival of 42nd Street. Since 2011, she has had a recurring role in the Fox TV comedy series Raising Hope. Shirley Jones has a star on the Hollywood Walk of Fame on Vine Street, just around the corner from Hollywood Boulevard. 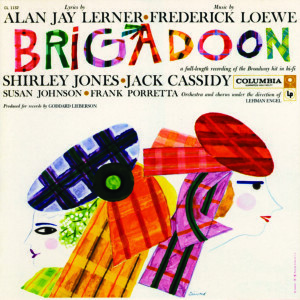 She can be heard singing the role of Fiona MacLaren in Brigadoon, opposite Jack Cassidy, on the 1958 Columbia studio recording produced by Goddard Lieberson.